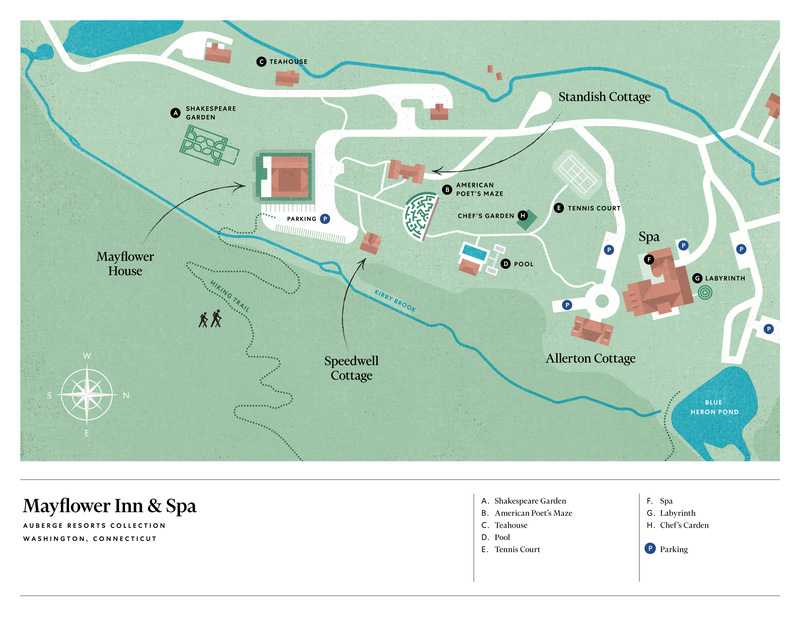 Located in the Mayflower House and Standish Cottage, and ranging from 368 to 473 square feet, our coziest rooms are wrapped in charm, with four-poster beds topped with plump oversized pillows, and views overlooking the American Poets Maze or Mayflower Woods. After a day of country pursuits, unwind in your deep-soaking tub in the spacious marble and mahogany bathroom. An antique four-poster king bed outfitted with a deeply comfortable feather-topped mattress, Frette linens and thick, luxurious duvet beckon.